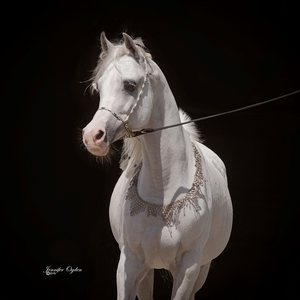 Sheikha Sara SMF is a fourth generation representative of her female family at Silver Maple Farm. She is so representative of the Glorietasayonaara females. We are so proud of her and love this mare. We bred her dam, her grand dam, her sire, and her grandsire. Sara is what we have been striving to produce for over twenty-five years, classically beautiful, and very complete. Henry and I really do not want to sell this filly at this moment in time. She is expecting her first foal in April by Ali Saroukh which will make the fifth generation of the Sayo mare line at the farm. 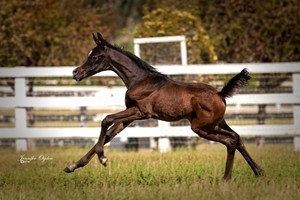 The foal will carry four lines to Sayo. Sara has a waiting list of buyers for when we wish to sell her.....there are three at present on that list!! 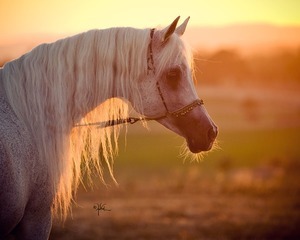 It's is a great mare family, full of everything that is beautiful about Arabians and the added charm of the Straight Egyptian bloodlines. Sheikha Sara SMF from Christie Metz on Vimeo.